We are committed to making Downtown a better place to do business. 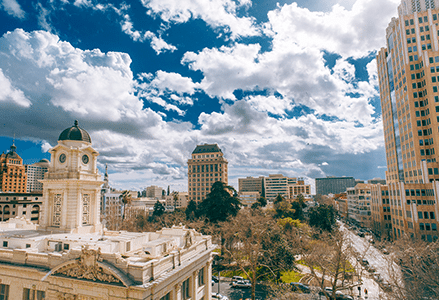 Downtown Sacramento Partnership serves as the voice for downtown property and business owners and plays a vital role in the growth and vitality of the urban core. From economic development and marketing, to keeping downtown clean and safe, our team is at your service. Helping downtown's small businesses grow and thrive. Watching over downtown’s streets seven days a week. Fighting grime in the urban core one street at a time. Removing barriers to economic development Downtown. Providing marketing support to real estate professionals. Generating activity and driving traffic through events. Telling Downtown’s story and cultivating experiences.